You can email your team a copy of their individual schedules from the Share tab located above the list of your team on the Schedule. 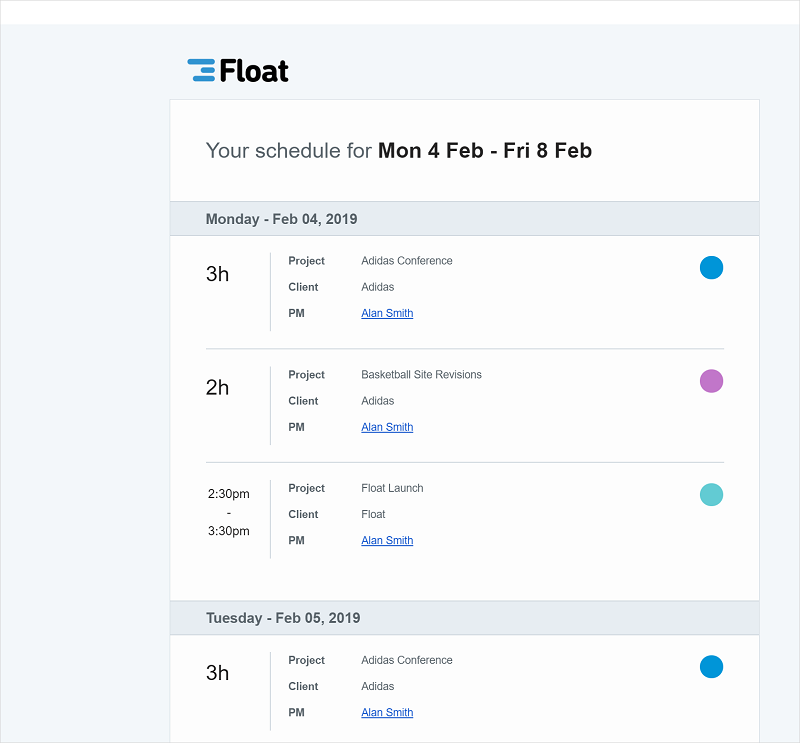 The Email Schedule option allows you to send out an email containing this week, next week, or the next two weeks of scheduled tasks to your team. 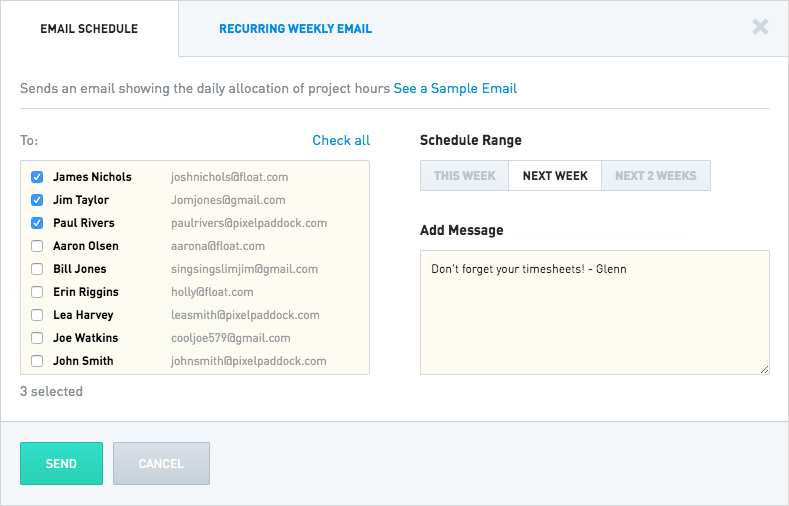 The Recurring Weekly Email option automates the process by sending out weekly schedule emails to your team at the beginning of each Monday.